MAIL: People need mail and street addresses for just about everything. To get a job, a driver’s license, a bank account, a phone, for court mail, for personal letters, for government mail, and on and on. PARC has had a very active mail service. The opportunities and relief that having an address provides are incredible. The Betty Kwan Chinn Center no longer allows people to receive mail there unless they are enrolled in a particular program (and space is limited). Brian Olsen (of St. Joe’s) is stationed at St. Vincent de Paul’s Free Meal and does allow people to receive mail there. Unfortunately, for some people who are trying to stay away from “drama” or drugs or who do not feel comfortable at Free Meal, mail service in that location will not work for them. The Eureka Rescue Mission is so prohibitive as far as who can use the services and who cannot, I believe only men in the Mission “Program” can get mail there, and women, not so much. We know about a lot of corruption by the Mission, including important things like medications, being stolen by the Mission, so we would not recommend having your mail sent there. PHONE: PARC has let people use the phone and use it as a call back number. Believe it or not, everyone does not have a cell phone. People need to make calls, look up numbers, sometimes get assistance navigating phone bureaucracies, put a contact number on an application, and connect with family and friends. There’s nothing like having a number where someone can call you back. OUTLET TO CHARGE PHONES AND OTHER ELECTRONICS: We’ve had a plug-in outside PARC and a power strip plug-in inside. Why not have outlets throughout the city where people can charge? The more there are, the less congregated people will be around one? MENSTRUAL PADS, TAMPONS, UNDERWEAR: PARC will no longer be here for this critical need. People who need menstrual supplies can get about 8 pads or tampons from the Eureka Rescue Mission Women’s side. Ring the bell and wait for someone to come to the sidewalk. Maybe people want to put free pad & tampon dispensers in public bathrooms? (Wait great idea, except NO PUBLIC BATHROOMS in Eureka!) folks, please put some free pad and tampon dispensers some where , maybe in a set up like a little free library. SHOWER: Taking a shower and using a bathroom (don’t you usually do both?) are probably the most valued daily resources that PARC has offered. Individuals could take a shower every 3-4 days (1 or 2 showers a week). Society wants people to not smell bad, to get employed, to show up to work, to look a certain way (or stay out of sight), but Betty Chinn’s showers seem so scarce and randomly canceled that they may as well not be happening. PARC has been giving showers within a 6 hour time frame every day. People don’t have to sign up, or show up early in the morning to get in line. They don’t have to take a shower in a gym style shower room with a bunch of people, and they don’t have to rush to do everything (go to the bathroom, clean in the shower, shave, brush teeth) in record time. People take their time, and before their shower, we find clean clothes to change into. Without PARC, will there be showers for homeless people in Eureka? BATHROOM: How can people complain about poop and pee in public when there are practically no public restrooms? PARC has been the most open, most available public restroom in Eureka. After 5pm, people have to use the bathroom. Laws, locked doors, snobby businesses, and “for customers only” signs do not change that. When the library is open, people may use the bathroom. The County Jail visitor waiting area (lovely place) no longer allows people to use the public bathroom unless they are going to visit someone in jail! Does County Public Health across the way offer a public bathroom? We need more bathrooms that are accessible to all, all the time. A place to go is a necessity and right. Until you can force the City of Eureka to make their park bathrooms ADA legal and open them up, individuals, businesses, and organizations need to open their restrooms to folks. We have found that white vinegar is an easy, non-toxic, and affordable cleaner for our public bathroom. DETOX & HOSPITAL VISITS: PARC does not have a detox facility, but PARC helps people do what is required to get into the Detox house in Eureka. First, a person must call Detox,sometimes every morning, until there is a bed available. When a bed is available, the person must get to St. Joe’s Emergency Room, wait to be seen (often for hours), then get medically cleared. Then they usually need to pick up a prescription at the pharmacy and get to Detox on 14th and C Streets. Everyone must get to Detox within an hour of being seen in the ER. We drive people to the hospital, then when they are done, we bring them across town. It is often impossible for people otherwise. This process is going to change, possibly in September 2017, when the re-purposed MAC opens as a detox with a doctor on site. Rides to the hospital are an important offering by PARC. If an ambulance is called for a street person, the police show up first, the ambulance may never come, and it often becomes a more dangerous situation for the sick or injured person. We give people rides to the hospital, and leave our number for a pick up when they are done. No police involved, no senseless and cruel violence for someone who is already hurting. 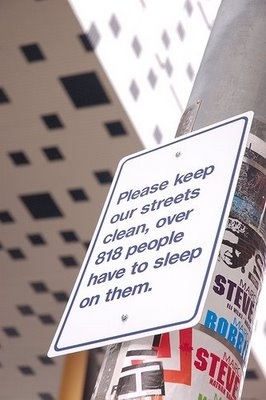 Perhaps a network of drivers could get people to the hospital for care or detox clearance? FOOD: People are always hungry. (Can you relate?) St. Vincent’s Free Meal is usually available from 11am to 12:30pm, some days closed down as group punishment , for instance, for two attendees getting in a fight outside. On Saturday and Sunday at Clarke Plaza (3rd and E St.), Food Not Bombs serves up a hot meal and donated pastries and such at 3pm. For people over 60, the Senior Resource Dining Hall has lunch available Tuesdays through Fridays 11:30am -12:15pm. Betty Chinn no longer feeds like she used to, only to people in her container program. On Sundays, our kind and generous community member, Larry Hourany (age 81) serves lunch to folks near Free Meal. We need more people to share food in public, carry it in your car, stop when you see people and feed em, organize sandwich or burrito give away days, do a community breakfast in a park or on a corner once a week- there are many possibilities with caring people. LEGAL/COURT SUPPORT, TENANTS RIGHTS: There really are few resources for this, mostly none. Redwood Legal Services, which is supposed to help with tenant issues, hardly helps individuals; the Redwood Chapter ACLU is a bad joke (except for Shelley Mack and Peter Martin); in the Courthouse 3rd floor self-help area, there are helpful forms and sometimes helpful advice. There are no local renters’ rights organizations, although we believe there is a club establishing on HSU campus for that purpose, and maybe a student-organized legal clinic, too. Currently, there is no organization to help with restraining orders, and people get inaccurate or no information from the Court clerks. Please tell Verbena if you want to learn, for free, to do this kind of work, legal/court support and tenants’ rights work – and share it for free. Local houseless people, activists, animal rescuers, and long-time PARC supporters and collaborators are experiencing some shock and fear of loss when we tell them PARC is closing. Some of us who has been associated long term with PARC are also feeling a sense of loss. People are going to miss what this space does. The loss of this little sanctuary is going to be harsh for the community. Let’s hope people here build sanctuary again, not waiting for thousands of dollars or for government permission, but because it is basic and necessary. Over the years we have lost many friends and community members. We honor the memories of those who inspired us to create PARC, who blessed PARC with their wisdom, healing, kindness, and music, and who otherwise came to PARC throughout the years and were our family: Herb Macias, Colleen Branch, Rebecca Stiles, Dee Faye Moon, Adonia, Guitar Dan, Rebecca Stiles, Rachel Donahue, Etta Moo, Felix Omai, Chris Ayers (Squrl), Thomas Rice, Bill Holmes, Derrick, Carrington, Miles (Milo), Tommy Weatherman, Wanda Kibby, Noel Adamson, Martin “Freddy” Cotton, and Christopher Burgess. Martin Cotton and Chris Burgess were murdered by local police. Young, homeless, mentally disabled, indigenous, of color, poor– targeted by the state and, in large part, society. We created PARC while fighting for some kind of justice for their families and communities. In that spirit we ask you to seek justice, risk ridicule, use your privilege, and defend the vulnerable.